Dalinghaus Construction repaired my foundation. Crew was friendly and efficient. We were very happy with results. 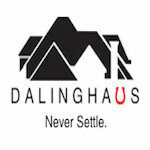 I would recommend Dalinghaus to my friends. Dalinghaus Construction repaired a 20 foot cracked slab sitting on top of the footing. They did an excellent job and it was a pleasure working with them.